Here’s a simple question. Is your website delivering your message effectively to mobile users? Since May 2015, more Google searches were conducted from mobile devices than desktop computers, and it is safe to say that this has not reversed in the last 12 months. 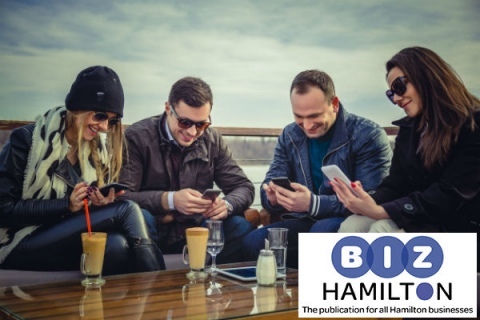 Take a look in any public space, in a café or even in your own workplace, everyone is glued to their mobile phone and hunting for entertainment and information. So, is your site mobile friendly? Don’t know? Get out your phone and have a look. While you are at it, take a look at the sites of companies you consider to be competitors, how are their sites looking? - To find out about what they do. Although obvious they are very important points to consider when you look at your own website on your mobile phone. - And finally your address and opening hours. With these modern web design techniques it is possible to create a version of your website that has been tailored to include these aspects without disrupting the desktop version of your site. It is described as responsive design and basically means your site works out what device the person is using to look at your site with and adjusts the site to suit their device. Discuss this with your website designer. It is essential on the mobile (and to be honest the desktop) version of your website that you make it easy for people to find the key information about you and how they can contact you. By removing speedbumps and making it easy for people to make contact, this will give you an advantage over your competitors who make it hard. Remember you need to make it easy for people to contact you and understand how you can help them. Once you have looked at your site and implemented any changes you think will improve the customers' use of your site it is not over. Your website is never finished, you need to review the site regularly and ask yourself ‘Does our website reflect our company now and is it selling us effectively’.